If you’ve been wondering why I’ve published so few blog posts lately, I’ve been flat out putting together two big events, both of which I want to invite you too now. The Fighting for the Men of Manus fundraiser is overdue. The men of Manus Island have been treated so shamefully by this country, and every day we sit on our hands and allow the abuse to continue adds to our shame. A large part of what we hope to accomplish on Sunday is to raise awareness. We will have representatives of the major asylum-seeker and refugee-support agencies with us. These people will speak to us about their work and tell us how we can support them as they support the men on Manus, and the men, women and children on Nauru. We’ll also be streaming some of the video interviews we did with the men of Manus when I was in the detention centre with them last November. We also intend to raise money – lots of it. Hopefully our costs on the day will be covered by sponsors, allowing us to forward 100% of what is collected to Gifts for Manus and Nauru, who supply detainees with emergency food, water, and other vital supplies, including phone credit! Some may think that phone credit is hardly a necessity but, for the men of Manus, it is their lifeline to the outside world. Not only has it allowed them to make their situation known, but it has also put them back in contact with their families. I met one man there who had been targeted by the Taliban in Afghanistan, and so had left his pregnant wife with her father while he searched for a safer home. He reached Australia, hoping this might be the beginning of a new life for his family. Instead it was the beginning of an indefinite prison term on a remote island. His son is four years old now and they have never met. They connect through Skype. Of course, I can’t mention this event without talking about my stoush with my old nemesis – Dimitri ‘the Dominator’ Patsouris! 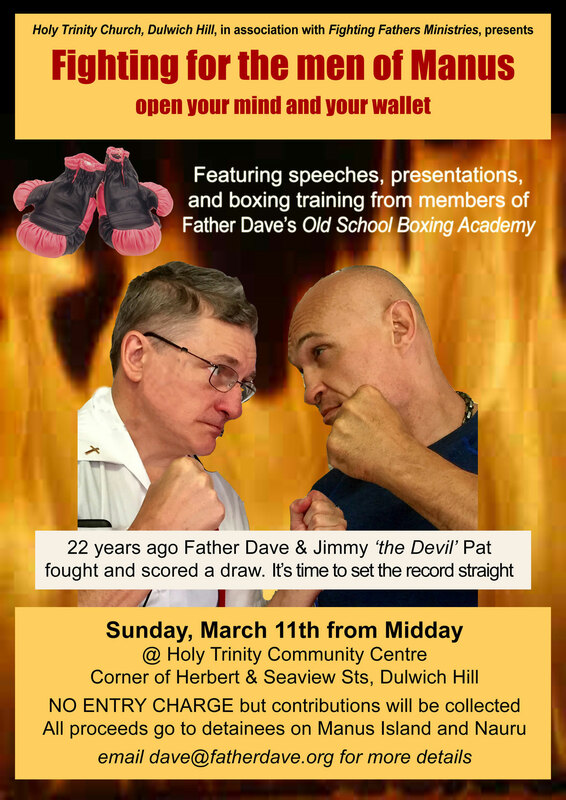 I first met this man inside the ring 22 years ago, when he was known as Jimmy ‘the Devil’ Pat. It was my debut as a professional boxer, and it was certainly the roughest stoush I had ever had at that stage. You can see the last round here. 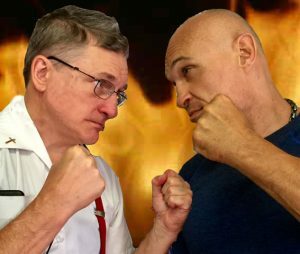 I must make clear though that this is NOT an official boxing match. There are lots of reasons for that, the most obvious of which is that it will cost us at least $1,000 to have the event formally sanctioned, and I really don’t want any of the proceeds going to anybody apart from our friends on Manus and Nauru! So, officially, this is a friendly four-round sparring session between two old pugs – no referee, no judges, and no decision (except for the decision you guys make). I don’t even have a ringside doctor organised (though if you are a doctor and you’d like to come, I’d by happy to give you a ringside seat). And if you’d like to download the poster for the event and help share the love, you’ll find it here. My sermon today is on Jesus’ clearing of the temple as recorded in John 2:14-16. It’s perhaps the only time in the Gospels that we see Jesus really angry! I confess that I don’t feel very comfortable with the angry Jesus. I prefer gentle Jesus, meek and mild. The Jesus who wields a whip and screams at people is not the Jesus I talk about to my children before saying nightly prayers. At the same time though, is a Jesus who doesn’t get angry about what’s happening on Manus Island a Jesus worth praying to at all? With all that’s going on, on Manus, in Syria, and in so many places around our word, we need to rediscover the hostility of Jesus towards all forms of corruption and exploitation. 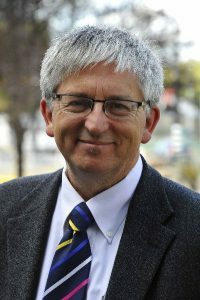 The second invitation I want to offer you today regards the Australian tour of Reverend Doctor Stephen Sizer. Stephen is an Anglican cleric from London and a long-time friend of mine. More importantly, he’s an outstanding human-rights activist who shares my passion for reconciliation with the Muslim world. Stephen is most well known for his support for Palestinian people suffering under the Israeli occupation. More specifically, he’s a renowned opponent of Christian Zionism, which tends to condone all actions taken by the government of Israel, believing this to be a Biblical mandate! Whether you know a little or a lot about Israel/Palestine, Stephen is definitely working hearing. He’ll be speaking in Sydney, Brisbane and Melbourne this month, and I’d encourage you to make the effort to hear him if you can. If you’re in Sydney, put aside Sunday, March 18th. If you want the rest of Stephen’s itinerary, just contact me, and if you’d like to download the poster for the Sydney visit, click here. That’s more than enough from me today. Keep me in your prayers, as I do you.